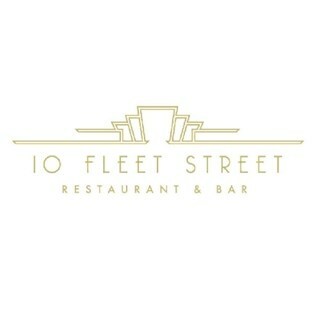 Indulge in our new 10 Fleet Street Restaurant & Bar, surrounded by a luxuriant Art Deco design accented in teal and blush velvet. Styled after a New York Supper Club, the elegant lighting and couture seating provide the ideal setting for all that desire a refined dining experience. Sourcing the freshest and the high quality produce from our local suppliers, patrons can expect the best Dublin has to offer seven nights a week. Excellent service, all staff are nice, Alberto who was specifically responsible for our table did a great job. Thanks! The service was awful. My partner ordered the soup which was supposed to come with bread. No bread arrived. Having said it to the waiters to please bring some he did. Only the inside of the bread was frozen. Outstanding service and food in a lovely comfortable setting right in the heart of Dublin. will definately come back. Lovely bar and restaurant, nicely decorated and calm atmosphere. Restaurant small in comparison to bar and lacked ambience. Attentive staff and good service. Food was tasty, cocktails tastier! As hotel residents we were given voucher for free glass of wine with main course but disappointed it was only for one person per room. The meal was wonderful - creative dishes that were delicious and featured unconventional but fascinating flavor combinations. Loved every bit of the experience! Staff & service were excellent! Food was nicely prepared & really good. Food was delish! Service with a smile, will definitely go back. 100% recommend. 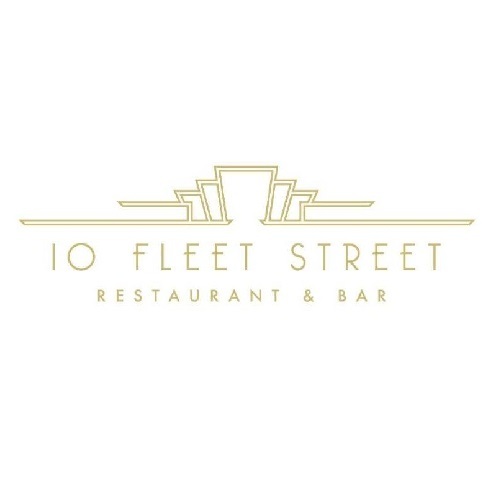 The service at 10 Fleet Street Restaurant and Bar is fantastic and we would highly recommend the Hotel, restaurant and bar to others. We will certainly look forward to our next visit. Huge thanks to all the team for their excellent hospitality. Friendly and attentive staff. We had afternoon tea and every part was delicious. One of our party is pregnant and so the chef and wait staff were happy to substitute delicious alternatives for the things she couldn’t eat. The food was all extremely delicious and not the basic afternoon tea you get everywhere else. It was also extremely good value. Sinews was our main server and she was so friendly, helpful and attentive. Excellent experience all round. Absolutely brilliant service. I have left a review on tripadvisor saying the same. I believe our host was called Anastasia, she was superb. Excellent customer service skills. When I’m back in the country, I will be visiting again. Excellent dining experience with great service. The menu has a great range and I can recommend the lobster and king prawn won ton and the hot fisherman’s plate as a main course. Left the restaurant feeling good after eating some nice healthy fish. Worth a visit! Lovely restaurant and the staff were very attentive. Love the touch of bread before the starter very few places do this now. We had a Groupon voucher but the quality and portions were still excellent. The starters were nice but the main courses were amazing. Would highly recommend! Portions rather small. French fries, which appeared to be frozen, were not cooked fully. Only two other tables occupied when we were there(3 persons). Maybe with more diners the atmosphere would improve. Perhaps it our taste but overall the meal was very disappointing. Music was far too loud for a restaurant. If you like to try something different from classic menu this is perfect place. We had a fantastic meal with excellent service in beautiful surroundings. If you want to treat yourself then this is the place to go. Highly recommended. The staff member who served us was very good. The lunch food was good. The desert, coffee and wine was excellent.